I always love meeting for coffee with a pal. It's always one of my favorite things to do. It's also great when you and said pal think of a great list of things to do over the summer. One of those things being calligraphy. So our Sunday started with coffee at Conscious Cup...which is the best way to start off any day, let me tell ya'. 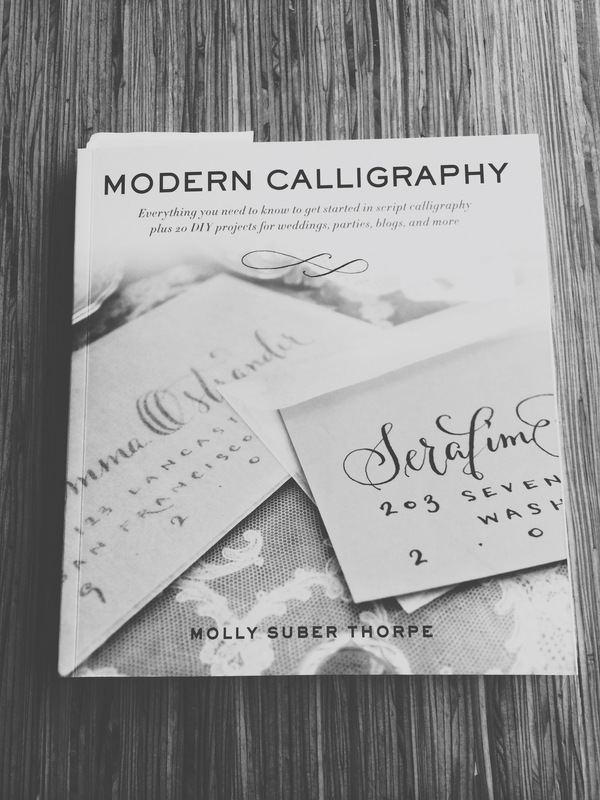 Then we headed to Barnes and Noble to find some fun things, like this Modern Calligraphy book, which is amazingggg! Soon we were off to the only craft store open on Sundays, to grab some pens, and start to make our way through this book. Man o man, calligraphy is sooo fun, but it's hard to get a handle on the upstrokes, the downstrokes, etc. Or if you are like my friend Abbey, maybe your pen breaks in the first 5 minutes, haha. We looked like weirdos in the Starbucks we went to later that afternoon, but we had a blast. Oh my gosh, getting the ink out is so scary. Ink is just so scary always. ^(My notepad) Not an expert yet, clearly haha.